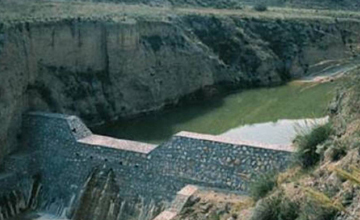 Lechago Dam - Rite Geosystems is a global instrumentation and monitoring solution provider, offering turnkey solutions in geotechnical, structural, environmental monitoring and geodetic surveying. A unit of the renowned Encardio-rite Group, Rite Geosystems leads the group’s operations across the world in USA, Europe, and Asia. 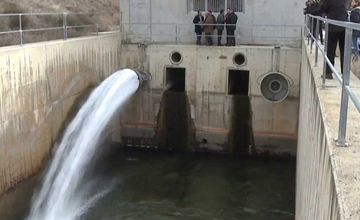 Encardio-rite supplied instrumentation for the Lechago dam in Spain. 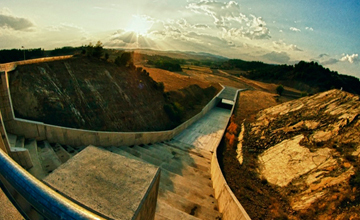 It is a 40 m high, earth and rock-fill dam located in the northeast of Spain, in Teruel province. 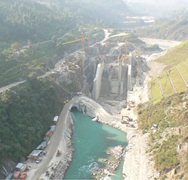 Built between April 2005 and January 2009, the dam was built on the valley of the Pancrudo River. Its foundation soil is composed of a soft alluvial soil, in the lower central part of the valley, and ancient shale and quartzite rocks, which form the steep lateral slopes of the valley. The relatively narrow central clay core is stable with wide rock-fill shoulders. 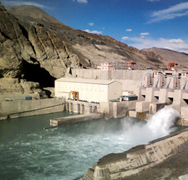 The dam was well-instrumented and continuous records of stress development, pore water pressures and vertical displacements were available for the construction period. 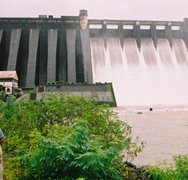 The major application area of work for Encardio-rite was the supply of instrumentation for the rock-fill dam and spillway. 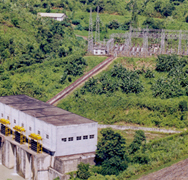 Encardio-rite manufactured sensors were supplied and installed for the geotechnical monitoring in the project.